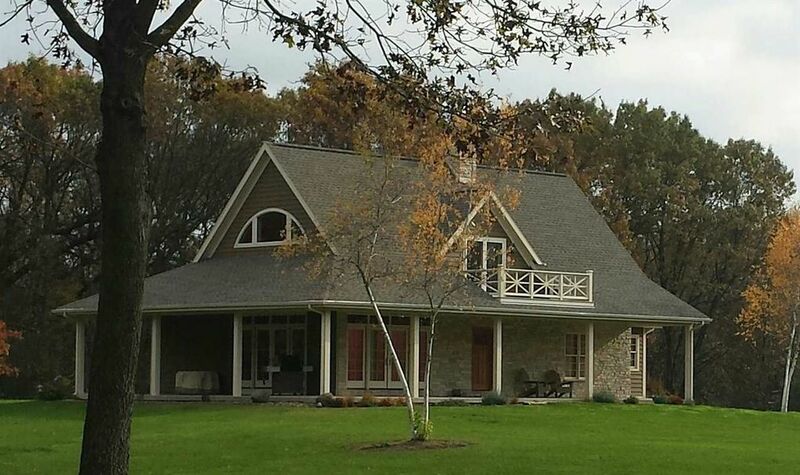 31+ Acres of Seclusion w/ This One Owner Custom Built Home, Surrounded By Your Own Private Park! Sunlit, Open Floor Plan, Red Birch Floors, & Masonry Fireplace w/ Remote Gas Insert. Dining Rm w/ 25' Washed Pine Ceilings. Gourmet Kitchen w/Granite Counters, 2 Sub Zero Refrigerators & 48 Viking Range. Upper Level Master Suite w/Balcony to Enjoy the Many Solitudes of Nature. Bath has Heated Towel Bars, Steam Shower & Hydrotherapy Walk in Tub. Main Floor has 2nd Master Suite, Office & Powder Rm w/Kohler Artist Addition Fixtures. Beautifully Finished Lower Level w/ Kitchenette, Bedroom, Bath & Rec Rm.